So I'm in the middle of writing a follow up to a short story I'm going to publish soon. 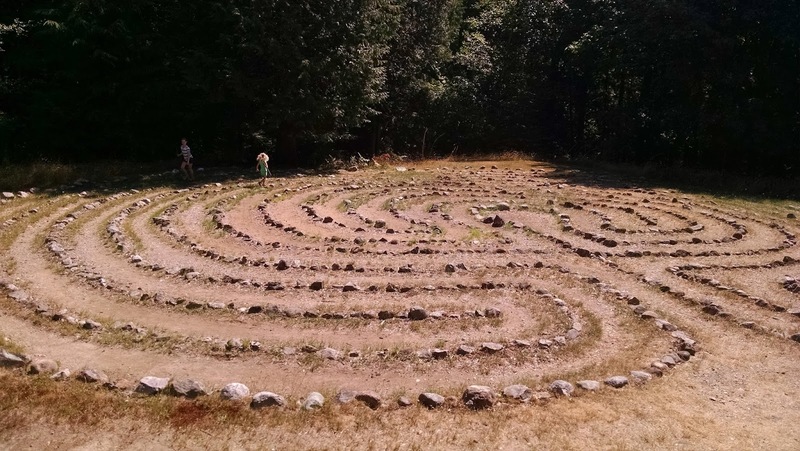 The next in the series has a labyrinth as a theme, the location it takes place is set in a labyrinth like location... And there is even a question of whether a minotaur like foe lives at the core. 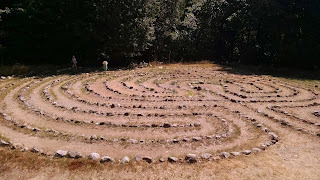 Interesting that I found there is a classicly haped labyrinth right near my house. I took my girls out to find it. Beautiful. It's pretty interesting walking the spiral that switches back on itself. A long path compressed into a small space.